Bullying, social rejection, and pain are they connected? SA alumna, Ruth Thomas-Suh ’83, examines these issues in her documentary film, REJECT. Join her on Monday, February 2, at 6:30 pm for a screening in Rea Auditorium. This event is free and open to the public. Register now. 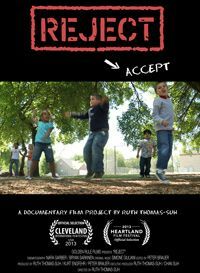 REJECT is the first documentary to examine the universal experience of social rejection. Blending cutting-edge science with intimate stories, the film is driven by research that demonstrates a chilling correlation between social rejection and physical pain, which can ultimately lead to acts of violence against the self or others. From neuroscientists to broken-hearted moms, the film's lead characters are rejection experts by choice or by fate. The film is ultimately about human potential, and the price we pay as a society as long as this universal truth is not understood and addressed. SA alumna Ruth Thomas-Suh ’83 directed and produced REJECT. Ruth was inspired to make the film by the work of her father, Dr. Herbert E. Thomas. A psychiatrist for 30 years at Western Penitentiary in Pittsburgh, he published his experiences with prison population violence in his book, The Shame Response to Rejection. A Q&A with Ruth and ostracism researcher Kipling Williams, a professor at Purdue University, will take place after the film. Learn more and see the trailer at www.rejectfilm.com. Supported in part by the Albert & Bertha Sector Speaker Series Fund.